Tuntun… it’s much more than a book. It’s a fun story with colorful illustrations that promote inclusion, it’s a vibrant picture book that invites young readers to be brave. The book is an adventure full of action, about a giant pink elephant who lives in Africa, but at the end, readers discover that almost all African wild animals they just saw are endangered, vulnerable or threatened species and we invite them to visit our fun educational website, where they will learn about African wildlife conservation, finding a great option to help. 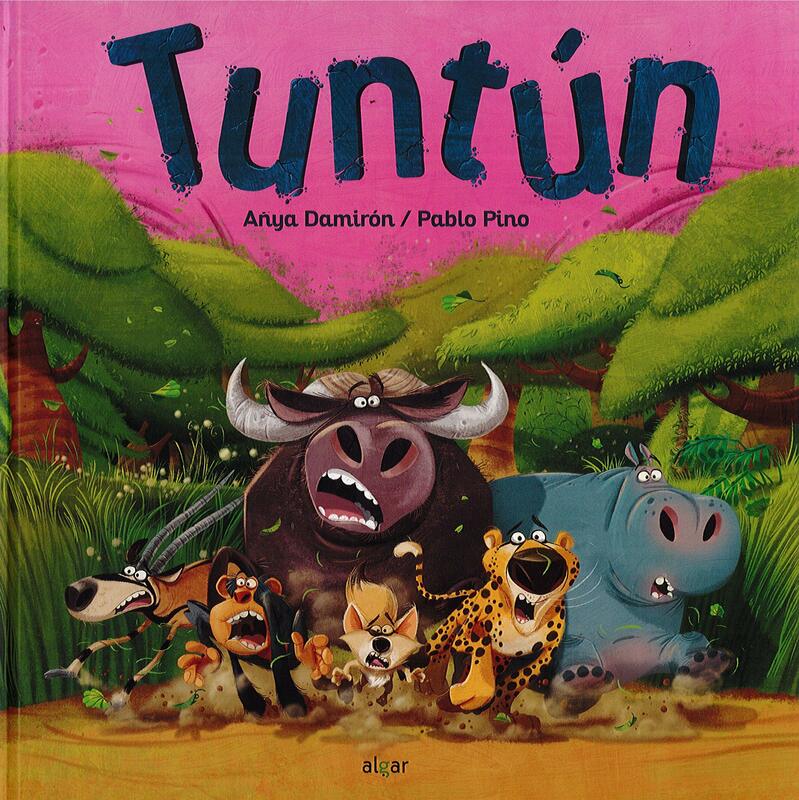 Published in 2018 by author Anya Damiron and illustrator Pablo Pina, Tuntun represents everyone who is a little different while also showcasing all those species in danger of extinction and are gradually disappearing. It represents with its greatness those who feel alone in the world, who are judged by their appearance and who are crazy for an opportunity. Tuntun is giant but does not know it. The sound of their footsteps scares all the other animals of the jungle, who think of everything before being brave and facing the truth. And is that many times, things are not as we think. A daring wasp realizes what is really happening and takes action in an unexpected way, causing an accident that changes the jungle completely. Things are never the same again. Tuntún knows all the animals, discovering that he is not alone in the world and the animals begin to live wonderful adventures with his new friend. There is a BIG problem in the jungle, a really big problem! But animals are too scared to try to find out who is the mysterious being that terrifies them every day. Thanks to a courageous wasp, everything changes unexpectedly. A funny story that reminds us that, many times, things are not as we thought. is impactful and fun. She believes books are a wonderful tool that can help us create a better tomorrow by affecting the way children see the world around them. In the past few years, Anya started creating projects around her books. Her latest project, www.youaresuper.co , is about inclusion and is based on the multi-award-winning book SuperKids. After becoming a mom, Anya discovered the power of storytelling and it changed her life. Now she gives interactive presentations of her favorite books every weekend, motivating hundreds of families to read together. She runs a renting book library created by her from books sourced around the world and has a big book corner at one of the most important malls in Santo Domingo. Anya loves the process of working with talented people to build not just a book or a project, but to generate ideas that can make the world a better place. Paper Plate Tuntun Mask Activity: Help bring the Tutun story to life with this fun and easy paper plate mask craft. Don’t forget the pink markers! LearnCreateLove.com has some great printables that will help to bring the rest of the animals to life as well. And after a long day of running amuck in the jungle and being brave, what better way to refuel that with some Elephant Bread. Grab the instructions at DoingSplendid.com!